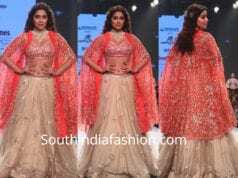 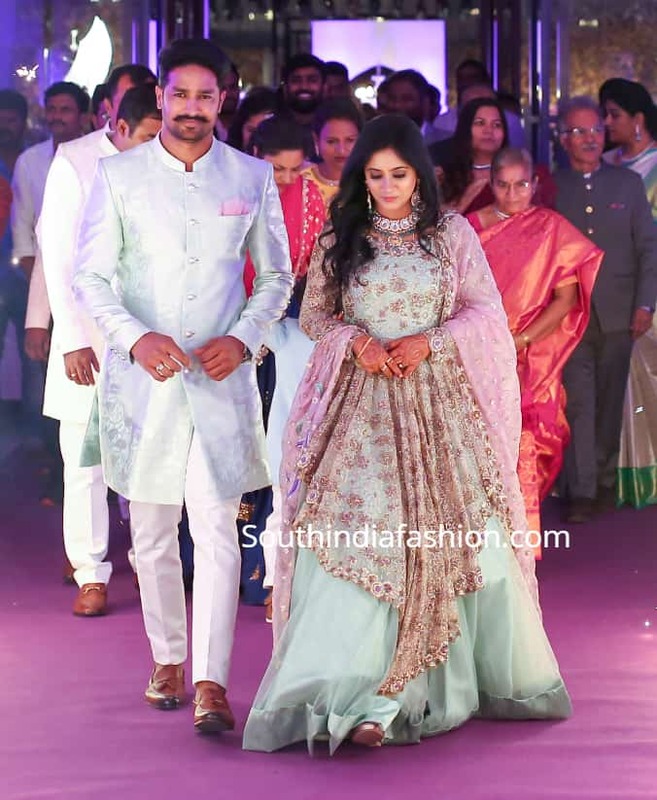 Ashwini Reddy Fashion Designer Ashwini Reddy’s Wedding! 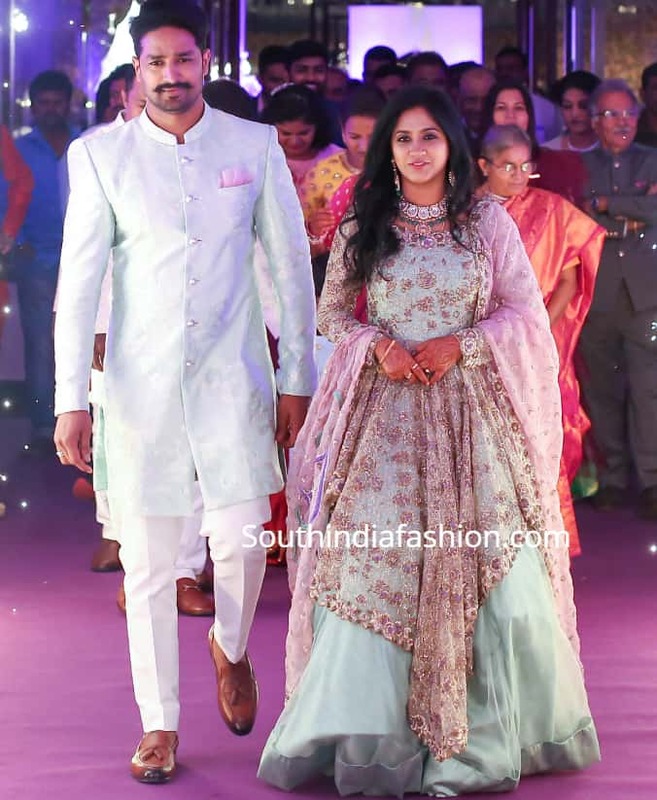 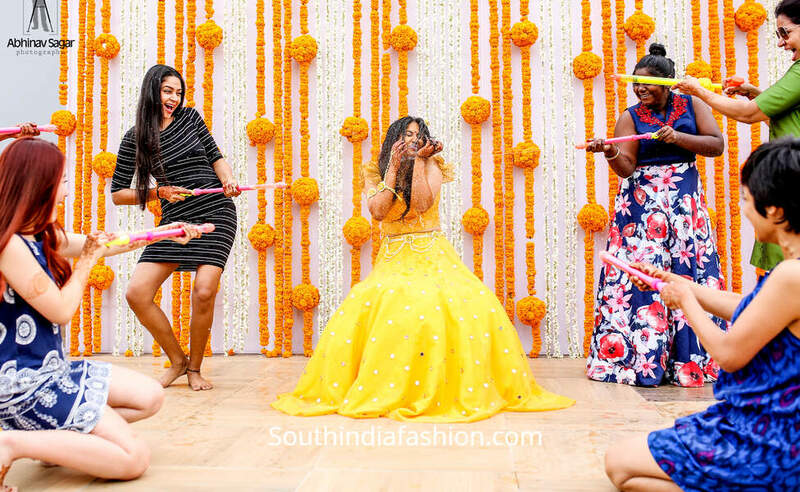 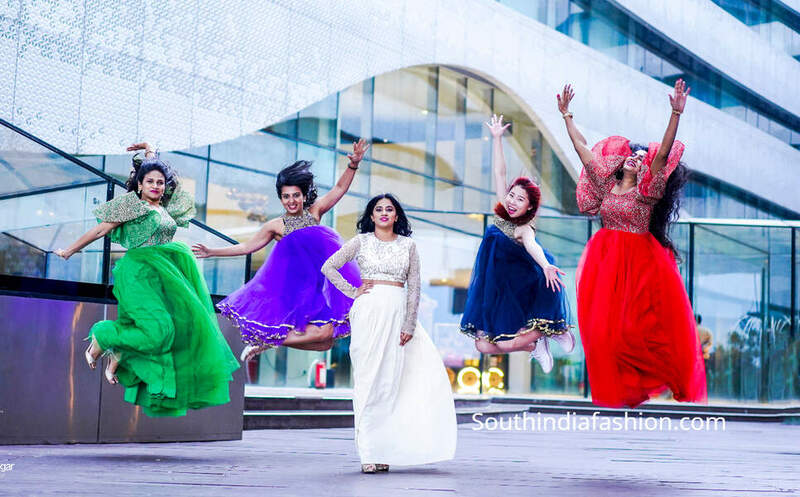 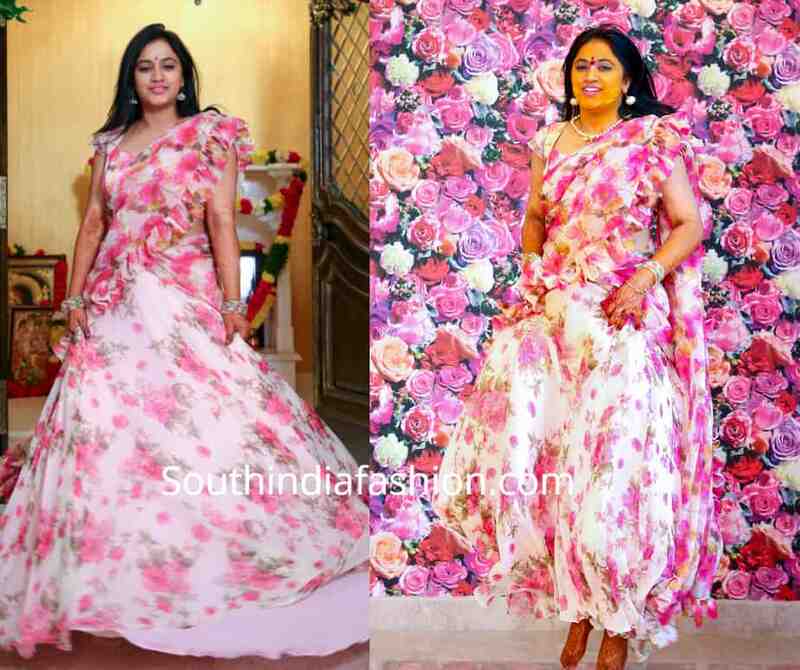 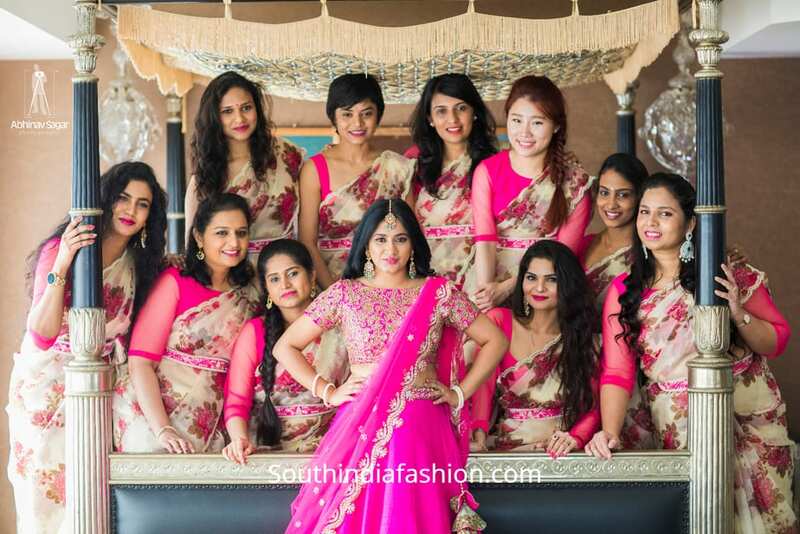 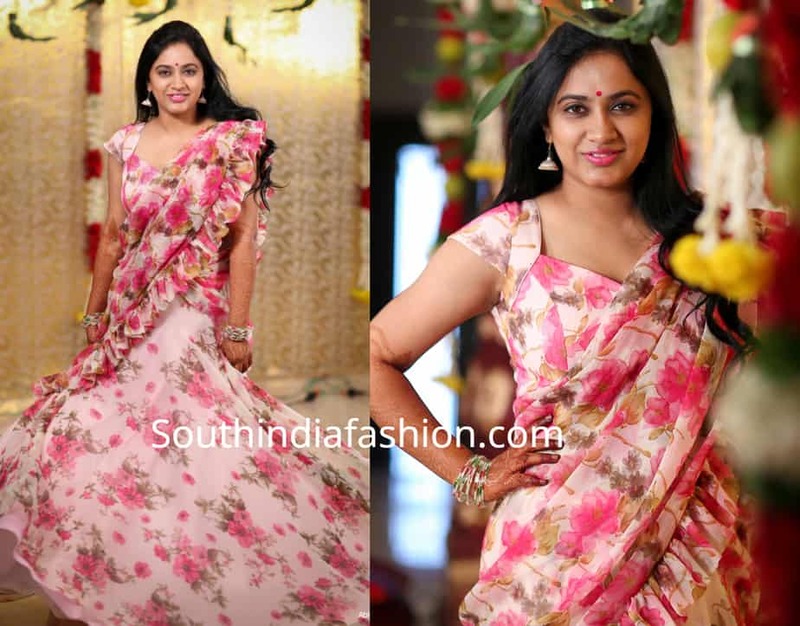 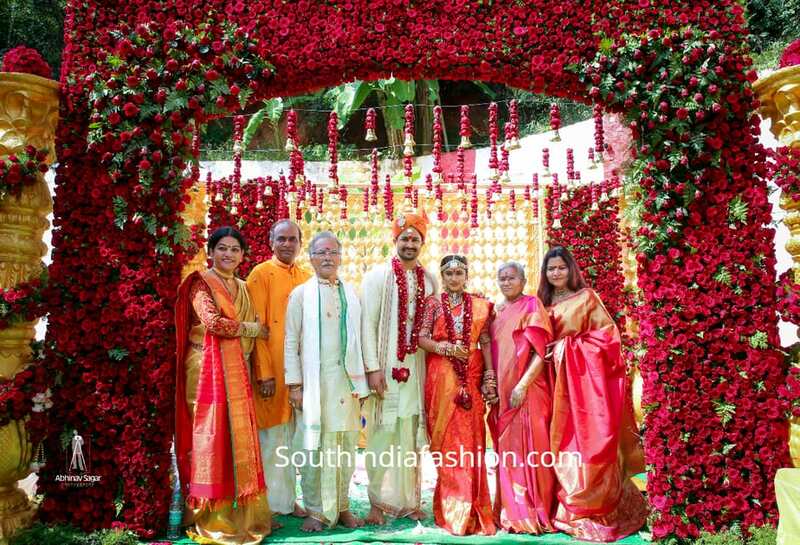 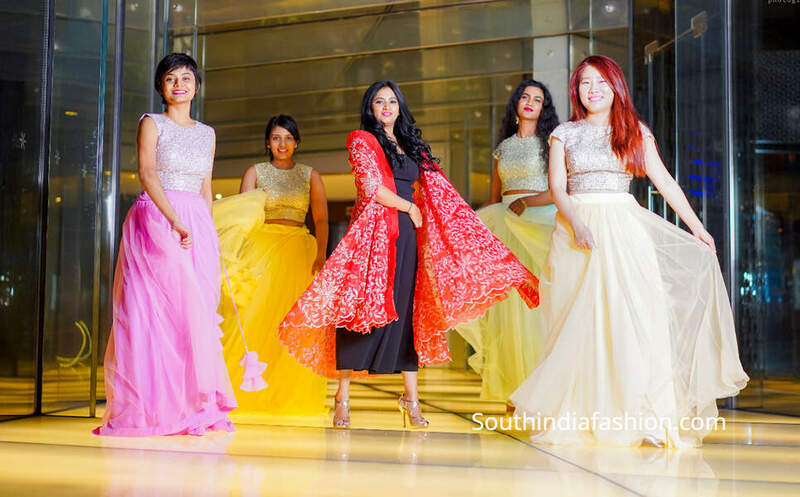 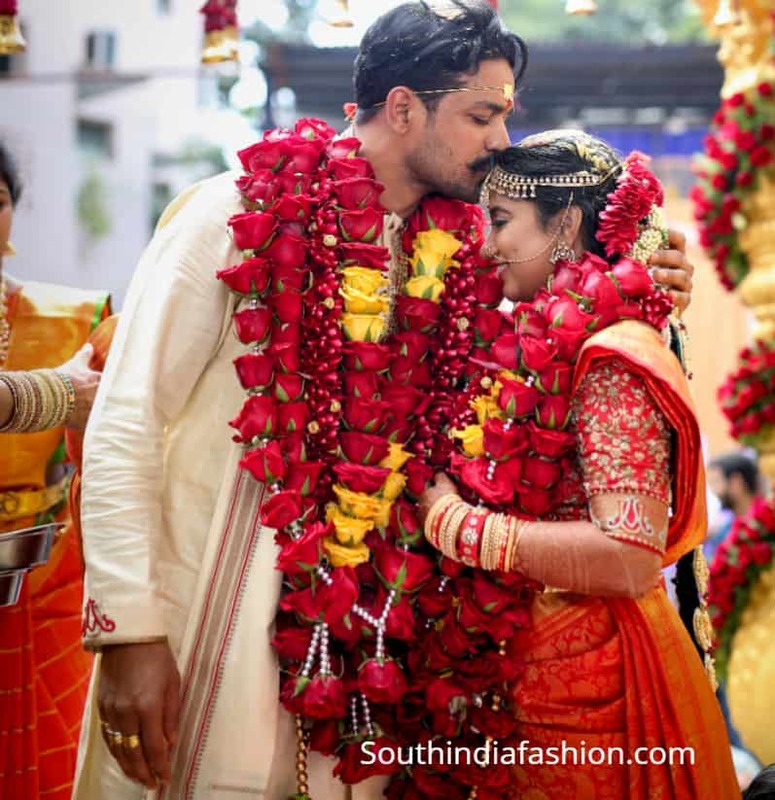 Fashion Designer Ashwini Reddy’s Wedding! 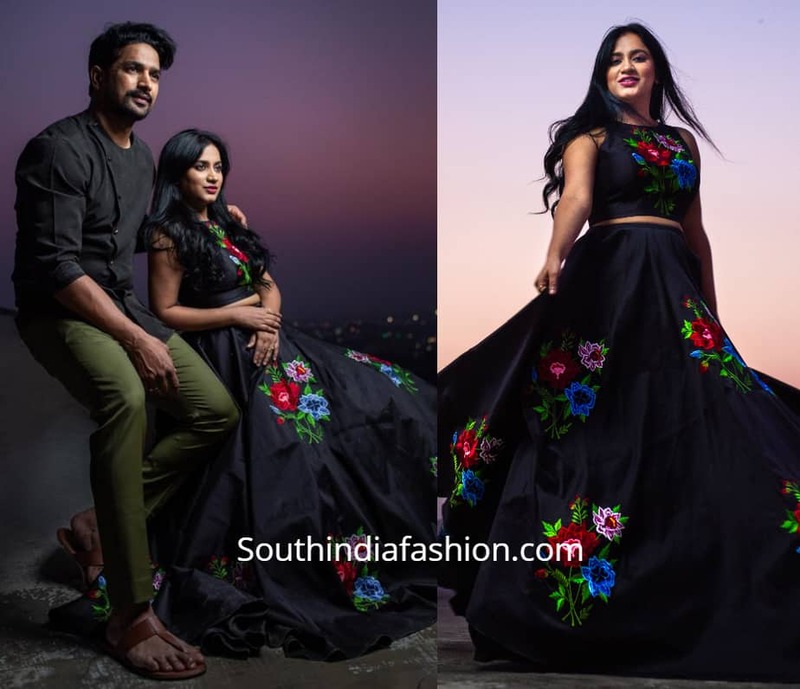 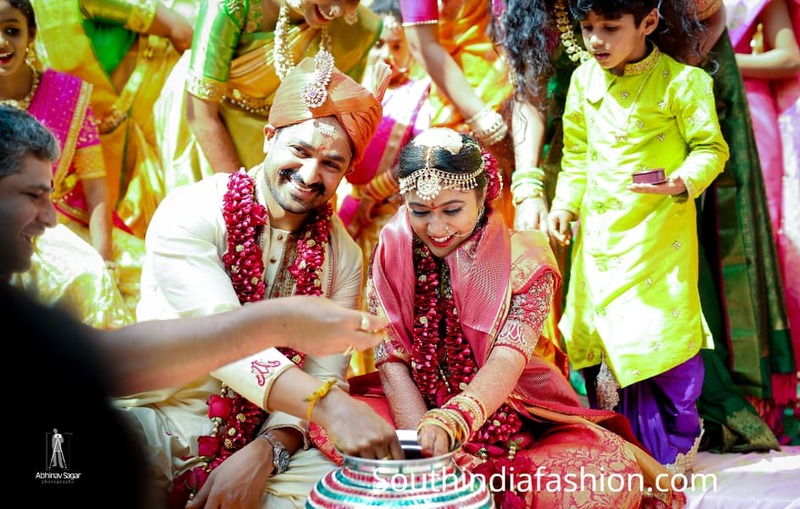 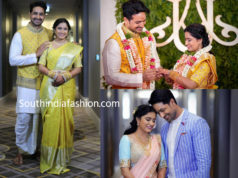 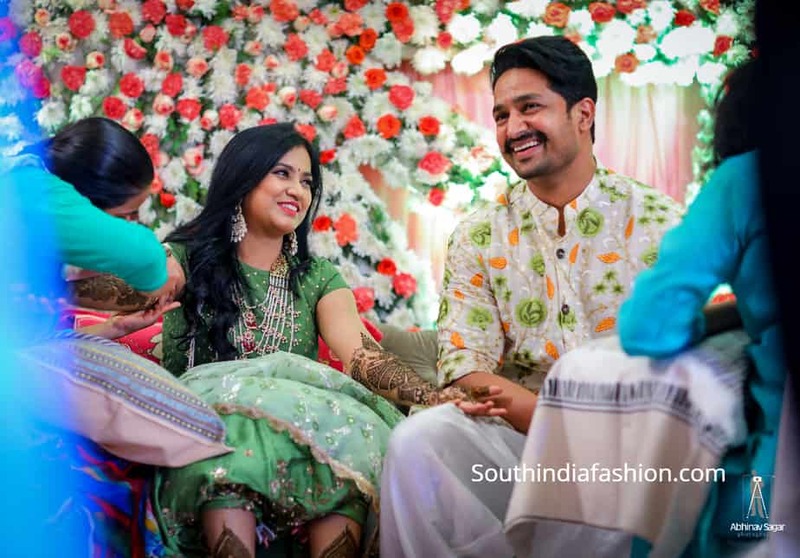 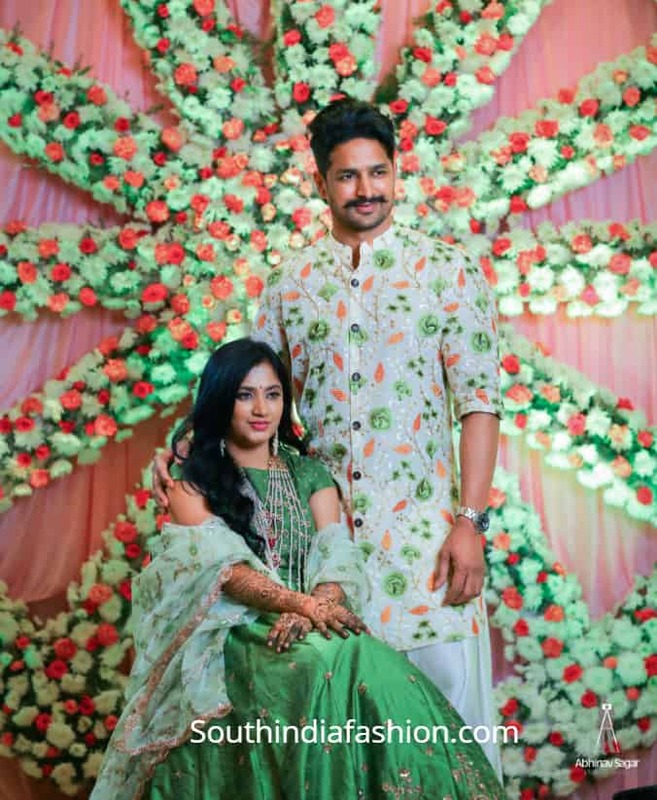 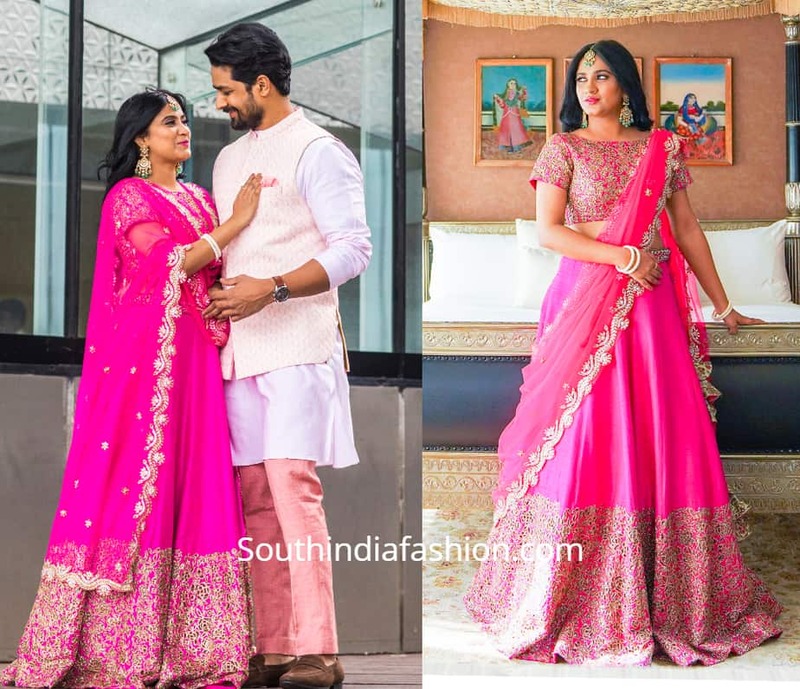 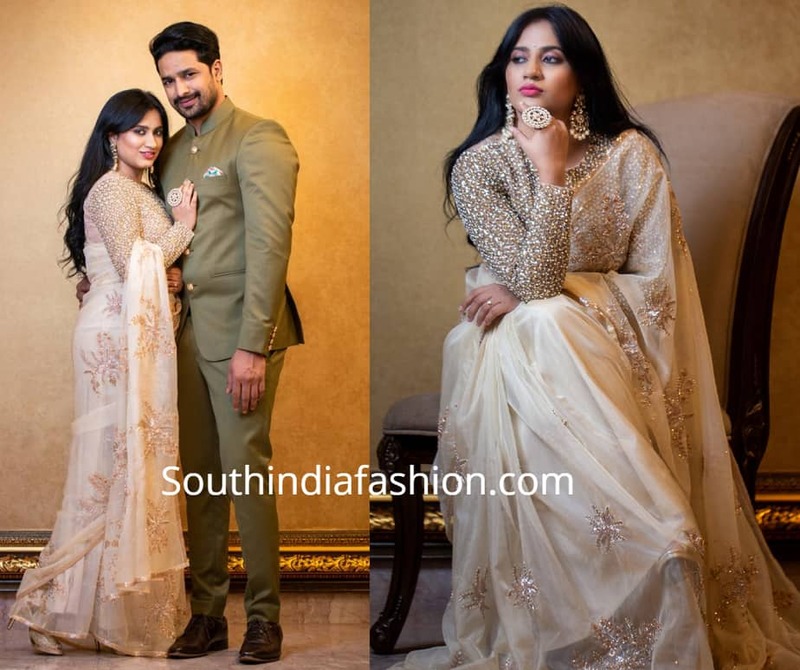 Hyderabad based fashion designer Ashwini Reddy tied the knot with Upen Reddy recently. 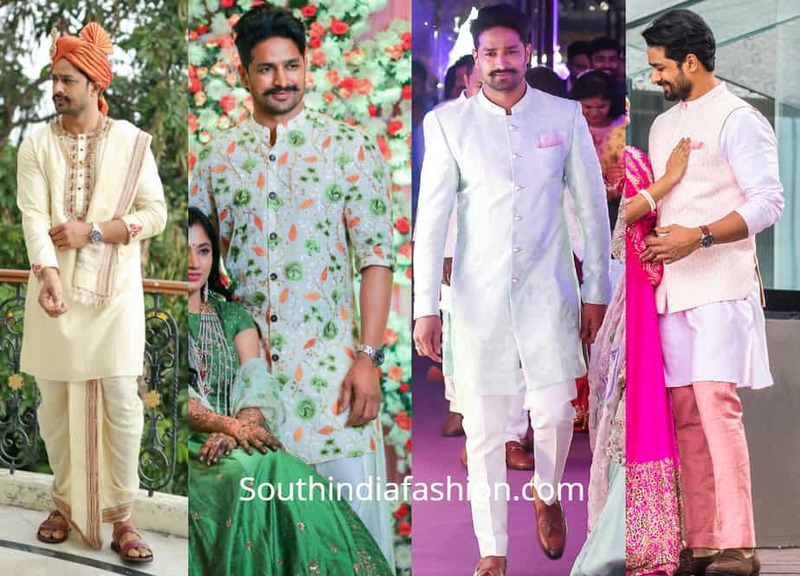 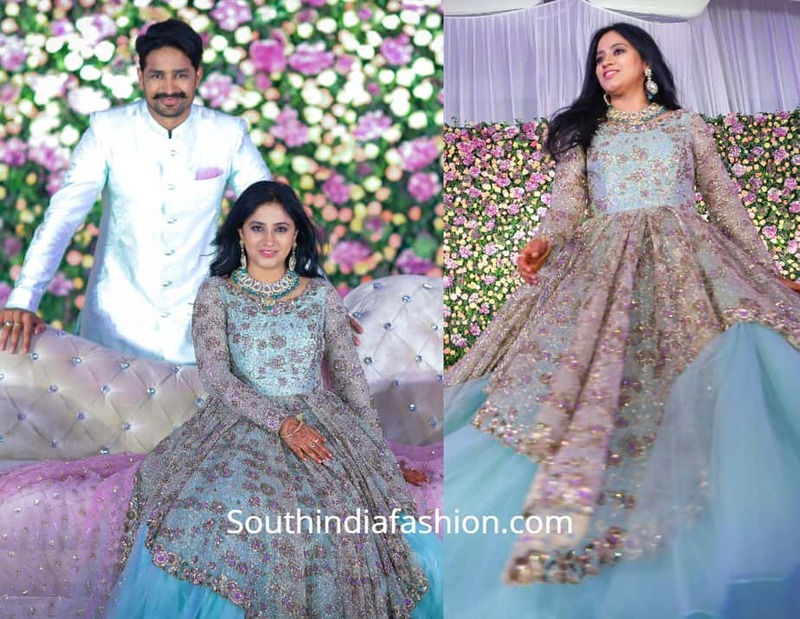 Both the bride and the groom and their family members chose to wear outfits from Label Ashwini Reddy for all their wedding festivities. 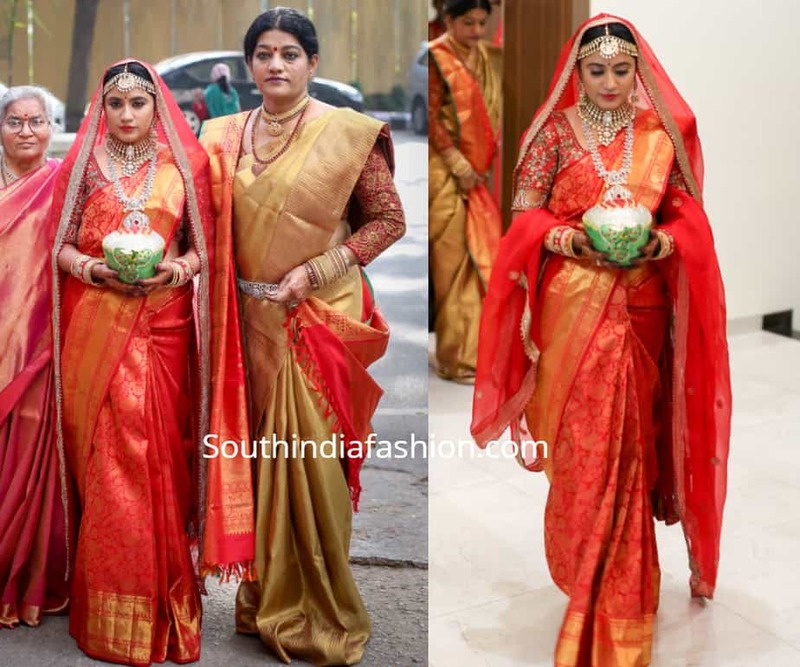 Checkout pictures from their wedding ceremony..
For her wedding, Ashwini Reddy wore a beautiful red and gold Kanjeevaram saree paired with matching hand embroidered elbow length sleeves blouse. 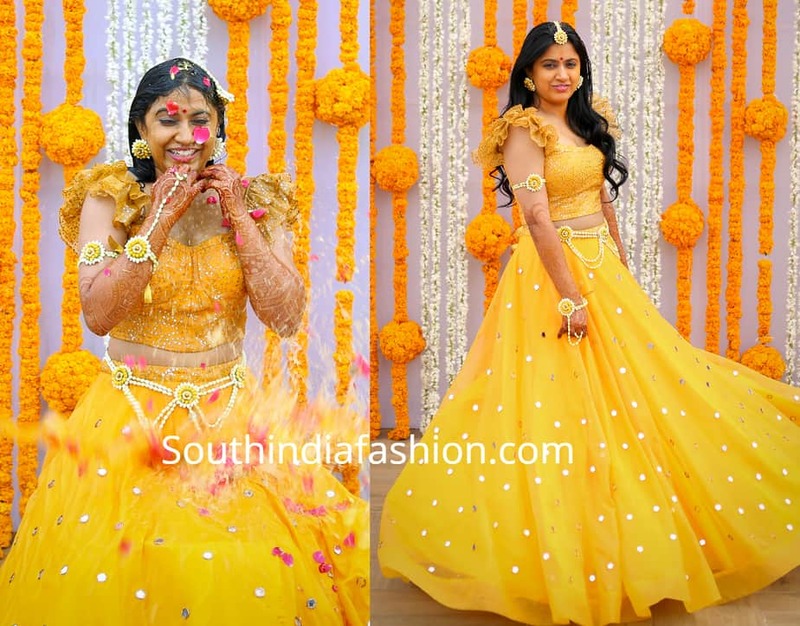 Polki and diamond jewellery from Shree Jewellers complemented her look. 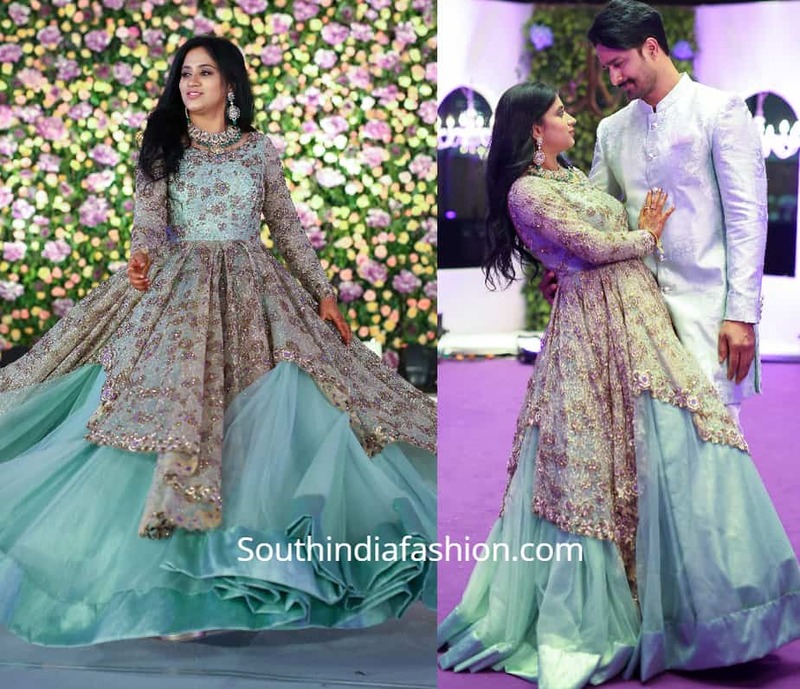 Ashwini looked stunning in a layered sea blue hand embroidered gown at her wedding reception. 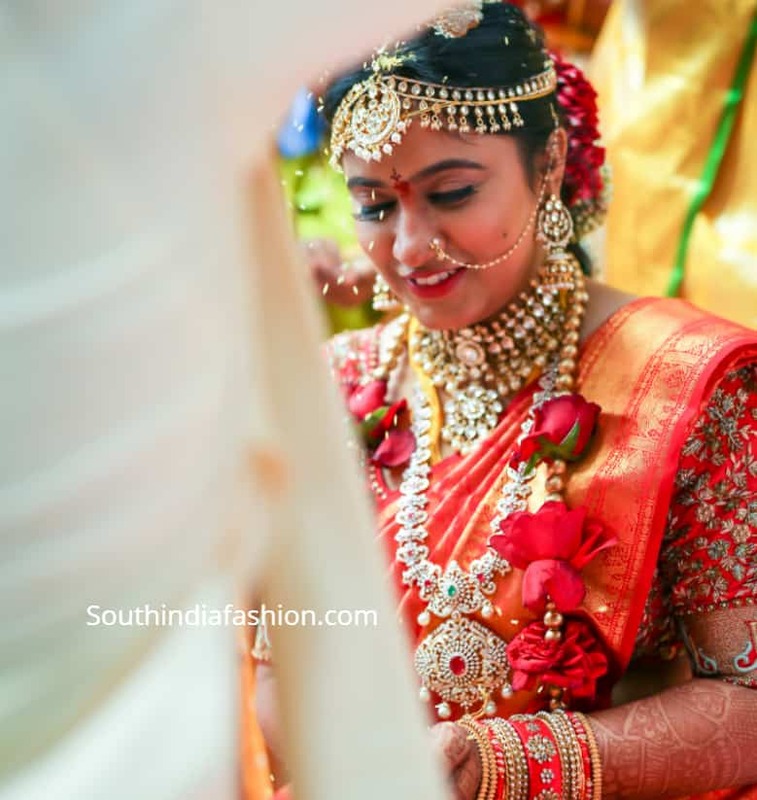 She accessorized her look with a statement polki diamond and emerald necklace set. 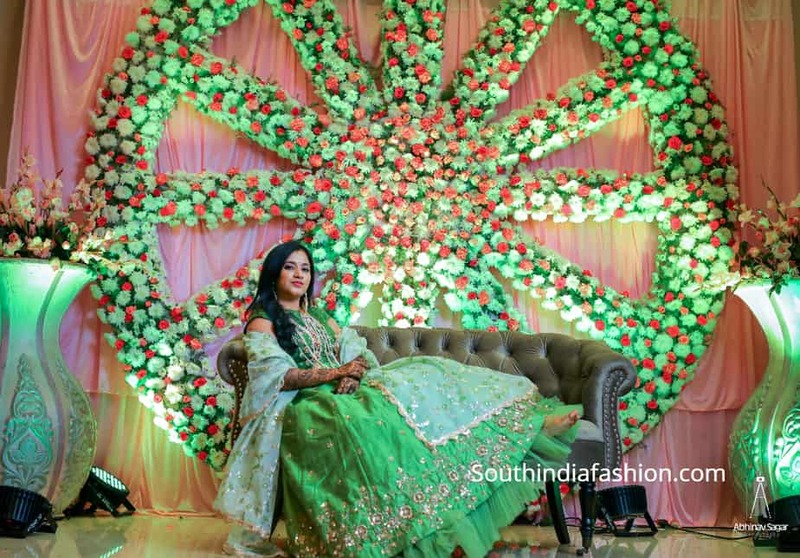 For their Mehnedi ceremony, Ashwini wore a green floor length anarkali suit paired with statement satlada necklace by Tyaani Jewellery. 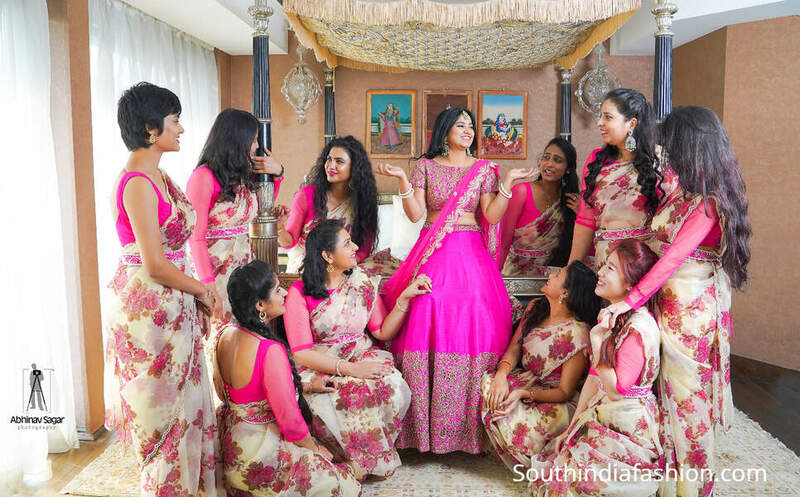 Scroll down for more pictures from their pre-wedding festivities..